Dr. Nair is an observational astronomer investigating the formation and evolution of galaxies. Dr. Nair is particularly interested in data mining large surveys to explore how galaxies have evolved over time. Dr. Nair received her doctoral degree from the University of Toronto in 2009. 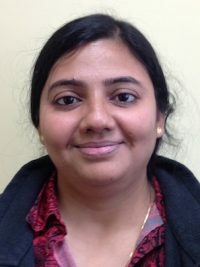 She joined the faculty of The University of Alabama in January 2014.